Blue Mirror Silver Sunglasses | BUDK.com - Knives & Swords At The Lowest Prices! Going to the beach, and you need a pair of shades? These Pacific Coast sunglasses can&apos;t even be washed away by crashing waves because they FLOAT! 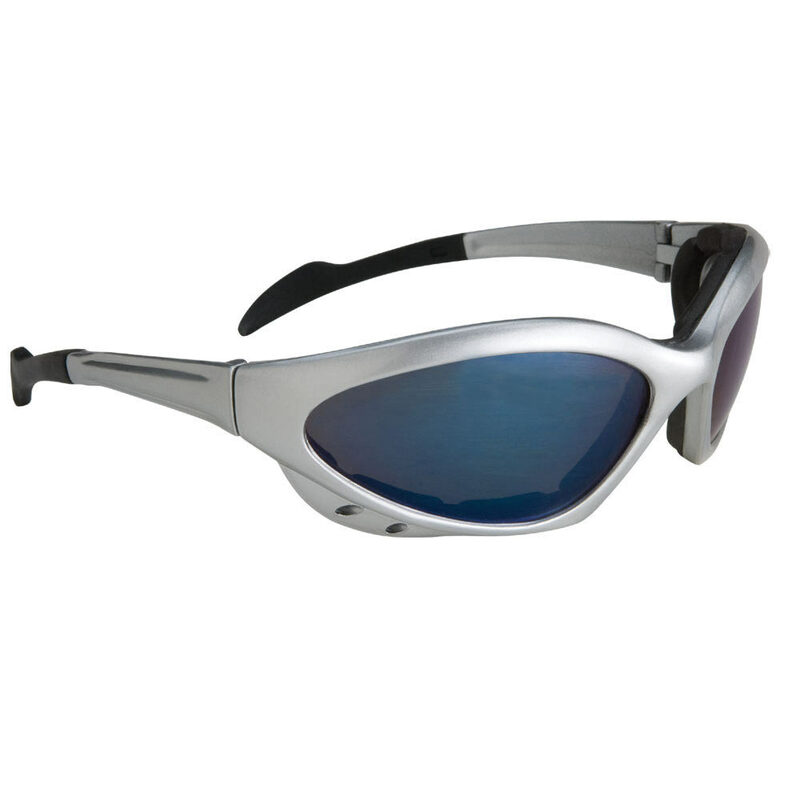 Not only do they look cool, but they protect your eyes from sun and debris exceeding the ANSI Z80.3 safety rating and a UV400 lens protection. A padded nose and cheek pad keeps your face comfortable and the sun out. Glasses are very nice, fits around your entire eyes so no sun gets in, the padding around eyes makes it very comfortable.